The Welcome Club & Creation Corner opening times over Christmas. 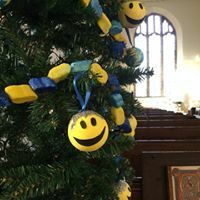 The last day for Creation Corner will be Thursday 20th December, we will be making Christingle, enjoying Christmas music & having some treats. Creation Corner will open again on Thursday 3rd January 2019 & it will be a special Welcome to 2019 activity & our good friend Andrew Richards will be coming in to teach us some relaxing massage. The Welcome Club will close on the 20th December & will be open on Thursday 27th December & will reopen after the New Year Celebrations on Thursday 3rd January 2019. The Cook & Eat Club will be open on Wednesday 19th December then will be closed over Christmas it will reopen on Wednesday 2nd January 2019. Apart from Christmas Day, Boxing Day & New Years Day the office will be open should you need support.